Apart from the amazing scent, rosemary can be really good for your hair, especially your edges, which can be really sensitive. Rosemary is high in vitamins A and B which are known for stimulating hair growth and increasing volume and density. It also has the following exciting properties. Using rosemary in your daily hair regimen prevents any inflammation on the scalp and hair follicles that could damage and even break your edges. This essential oil is known to promote blood supply to the hair follicles and roots, which also enhances nutrient supply. This then helps healthy hair growth. Rosemary Oil is good for keeping your scalp moisturized and hydrated. This will ensure that the PH on your scalp is balanced, hence avoiding any infections or dandruff which could lead to hair loss. Whether you decide to use the rosemary plant or oil, we are pretty excited to share with you some ways in which you can incorporate this sweet scented herb in your daily hair regimen to help you grow your edges. Mix a few drops of this oil and a table spoon of olive oil and apply the mixture on your edges overnight the shampoo in the morning. This amazing mixture will see to it that your edges become unstoppable! Add 6 drops of the essential oil to your shampoo. This will ensure that your hair gets all the great benefits each time to wash your hair. This mixture will also ensure that your edges grow fast and strong. Remember to always read your ingredient label for your shampoo. Prevent hair breakage with daily spritzing. Now this is pretty easy and we promise that your edges will thank you. Take a few of the herbs and put them in some water then heat it. Leave it to boil the cool it and voila! You got yourself your daily spritz. All you need is a spray bottle and you are set. If you do not want to boil the herbs, you could also just put them in water and leave them overnight. Now this is fun and will leave you feeling refreshed and smelling pretty great! 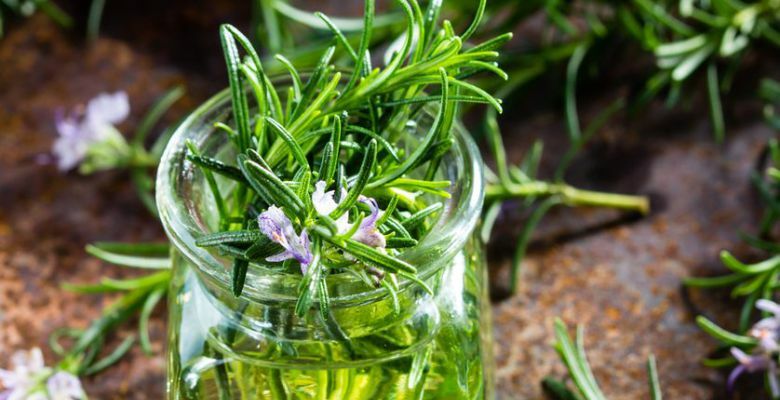 After you normal hair wash, rinse your hair with some rosemary infused water. Feel free to add some apple cedar vinegar or olive oil for even better results. Enjoy all the rosemary oil benefits in our Lheritier Shampoo. If in Kenya, you could buy some fresh the herbs from your local grocery store.